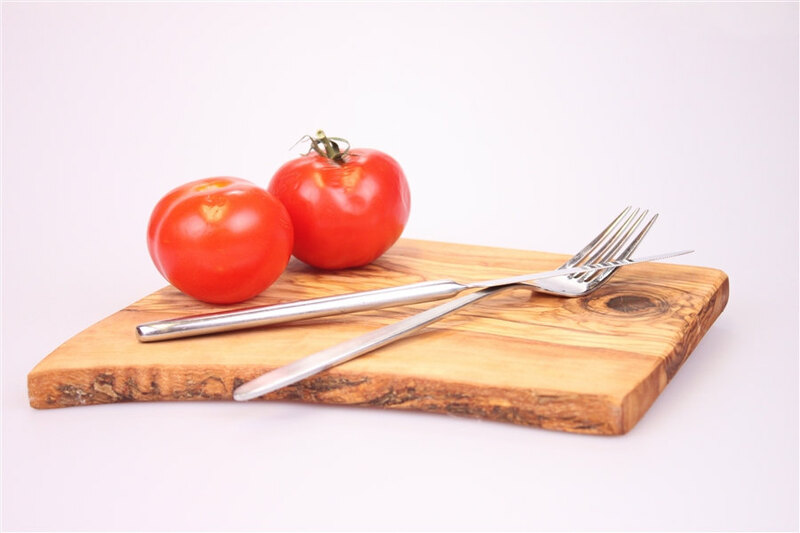 There’s not a lot to say about something as simple as a cutting board other than it’s a must-have in every kitchen. But what if we’re looking at this the wrong way? 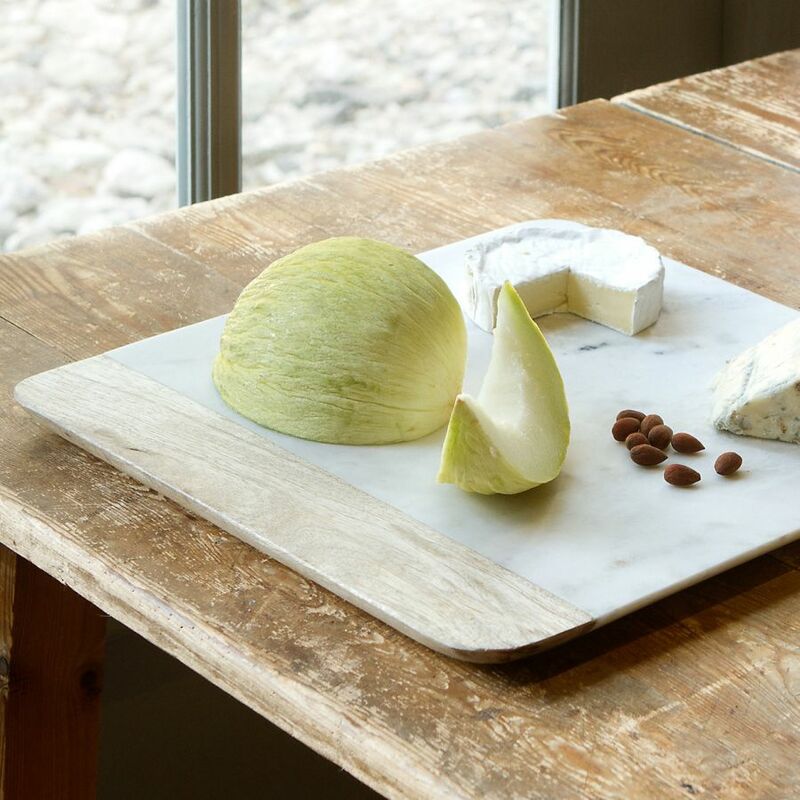 Sure, the cutting board is plain and simple but it doesn’t have to be. 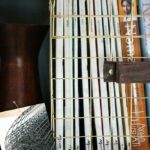 There quirky designs show us how to embrace the fun side of this elementary accessory and how to improve its functionality. 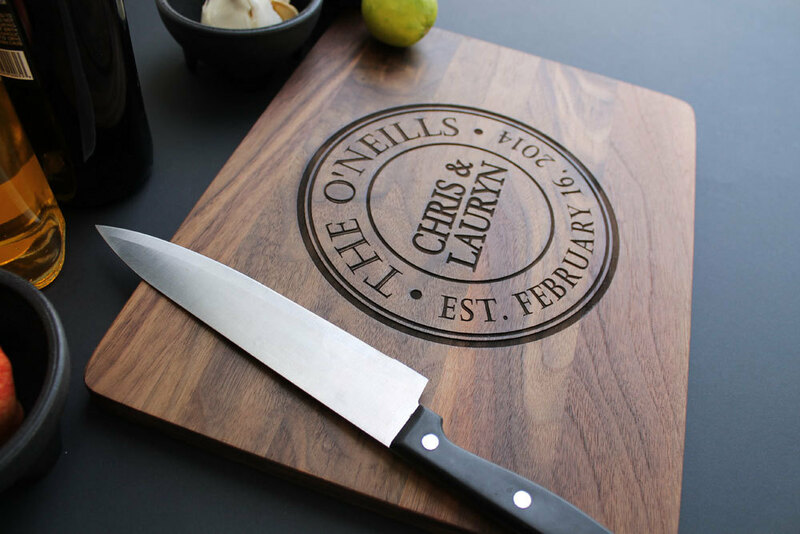 A simple way to make a wooden cutting board more interesting is with an etching tool. 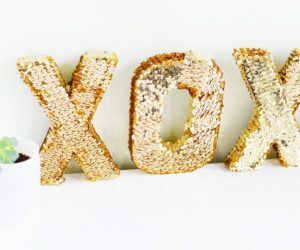 Customize a simple cutting board and experiment with all sorts of cute and fun designs. 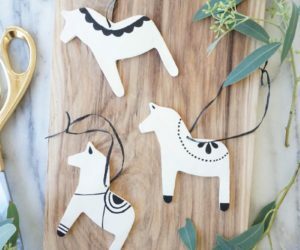 You can also find this type of designs in stores.Found on DesignMom. 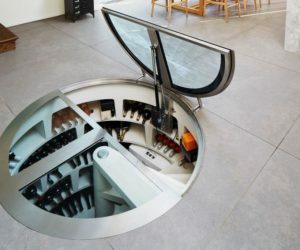 There’s not a lot going on in the case of this design but the shape is definitely a bit unusual. 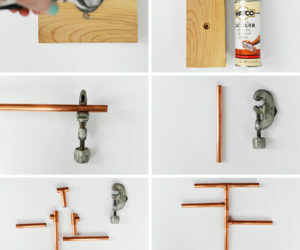 It completely transforms the piece. 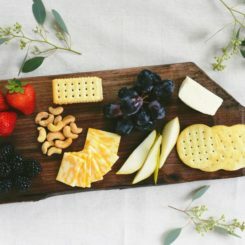 This is a handmade cutting board so each piece is unique.Available for $21. 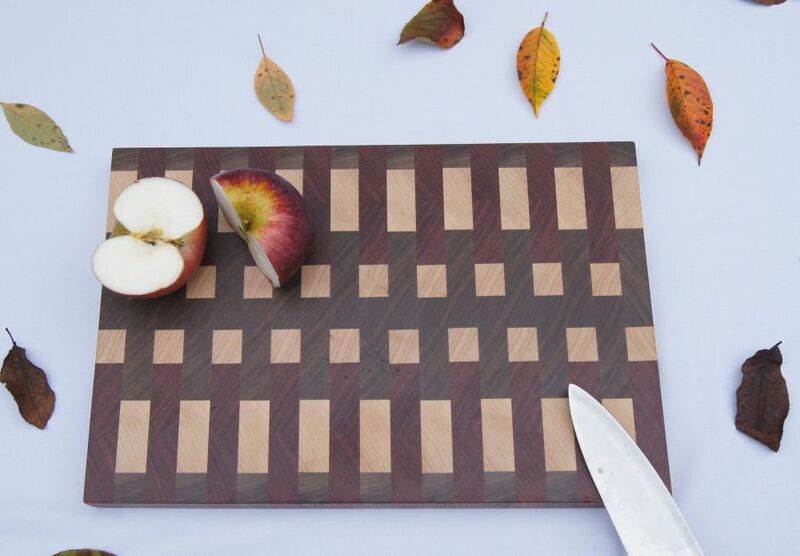 It’s enough to add one simple little detail to a wooden cutting board to make it interesting. This one sits on two pieces of wood that serve as feet. The exposed grain and the raw edge suit it beautifully.Available for $56. This one is a solid plank. 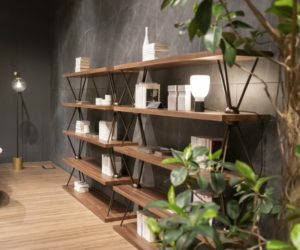 It looks massive and heavy but it also has a sleek and modern look. 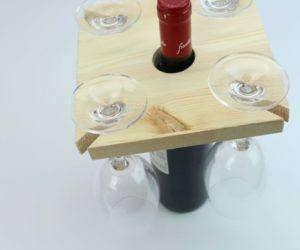 It can also be used as a serving board.Available for $36. 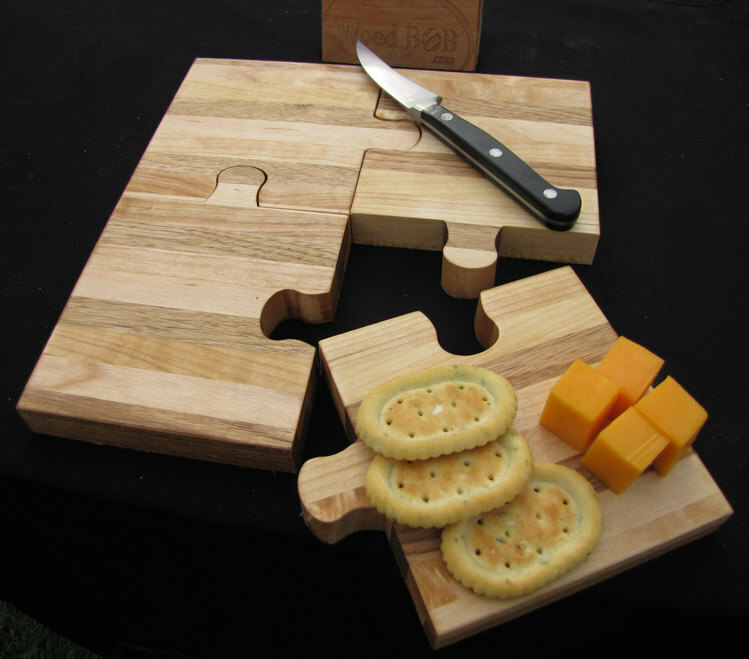 Made of eco-friendly, rapidly-renewable bamboo, These cutting boards are shaped like puzzle pieces so they can also be put together to form a bigger block. It’s an interesting idea. Use them individually or in pairs.Available for $40. End grain cutting boards are interesting by nature. Their self-healing properties make them very appreciated. 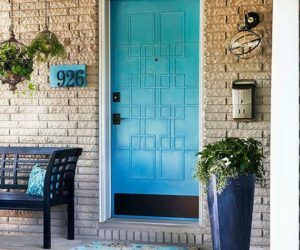 Add to that the elegant appearance and the package is complete.Available for $135. 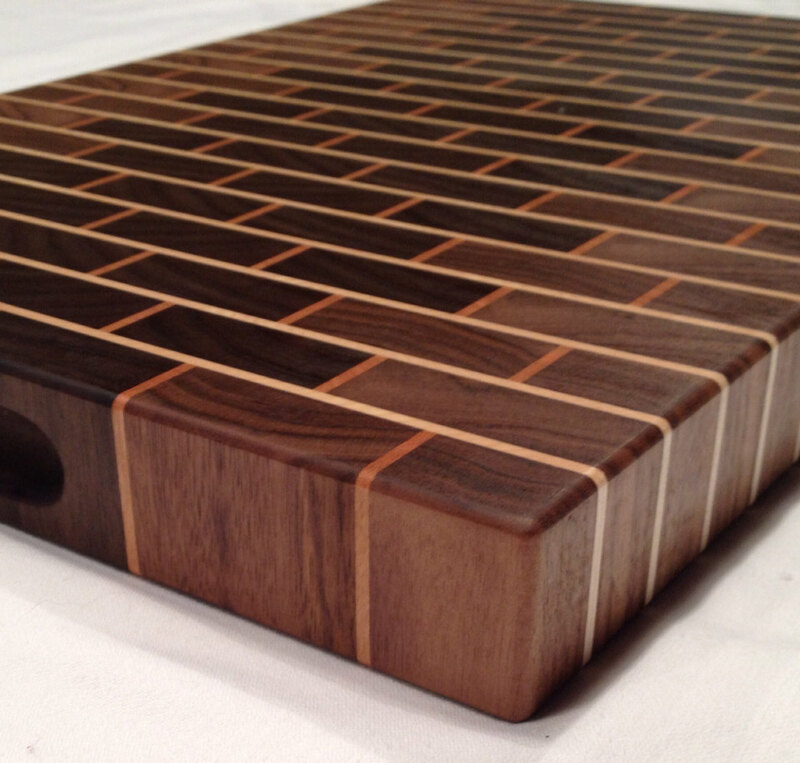 Some end grain cutting boards feature all sorts of eye-catching patterns. Different woods complement each other and the result is an intriguing visual impact.Available for $175. This one has a brick wall pattern. 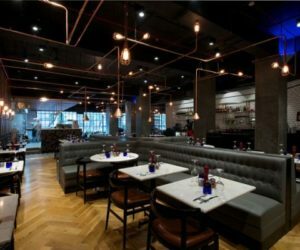 The entire surface is end grain, featuring walnut wood as the bricks and cherry and hard maple as grout joints. Aside from the visual aspect, end grain cutting boards are also more durable and they’re also better for your knives.Available for $145. 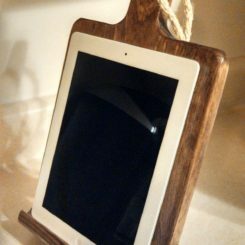 Personalized designs – cutting boards as gifts. 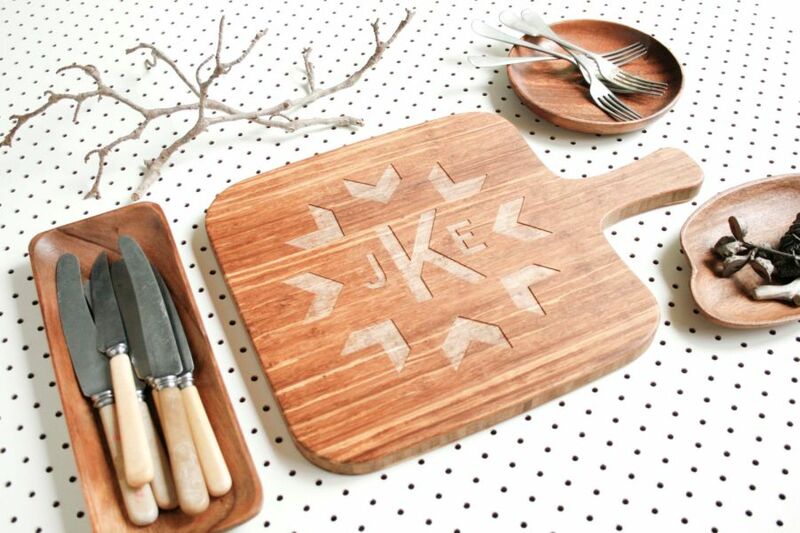 A personalized cutting board makes a great gift. It’s something the receiver will definitely use and every time that happens, you’ll be remembered. 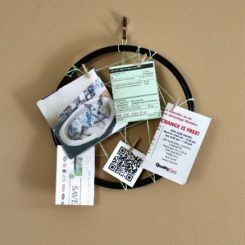 A lovely idea is to offer one of these things to a newly married couple.Available for $44. 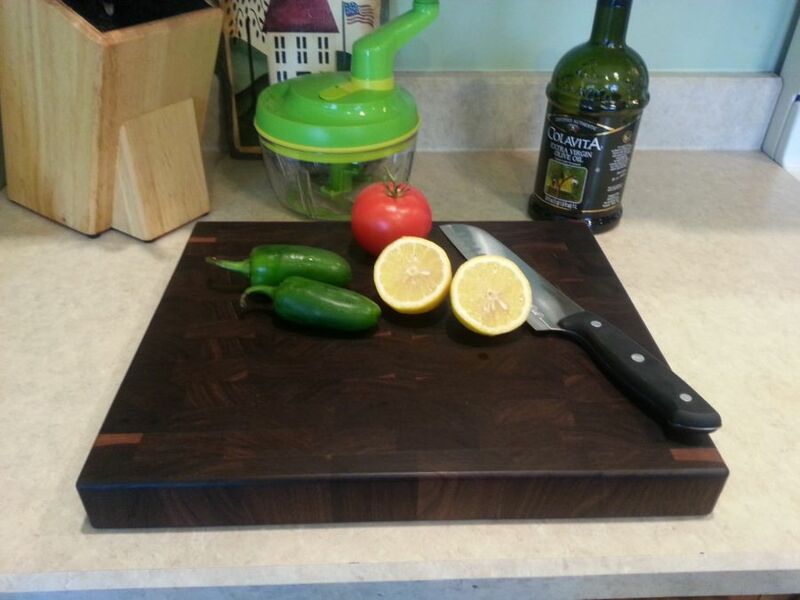 You can custom engrave cutting boards made from your choice of wood. 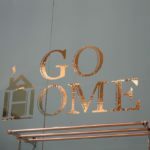 They make perfect housewarming gifts, going beyond practicality. 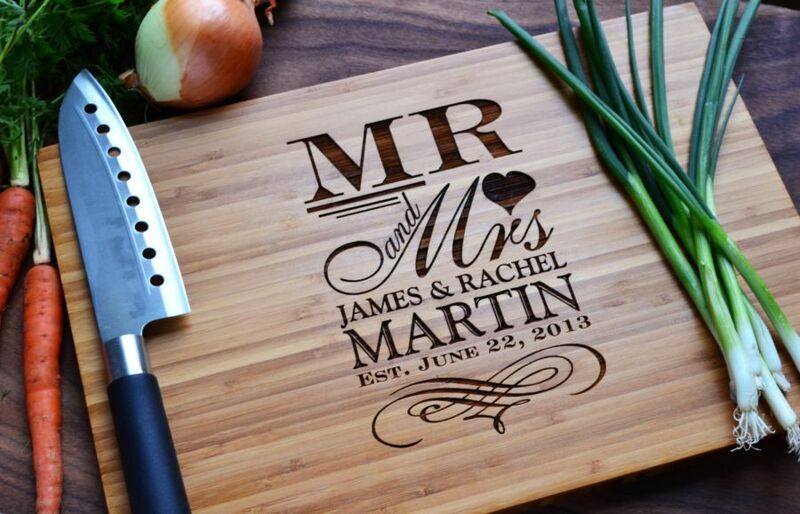 This is a bamboo cutting board engraved with the family name.Available for $35. 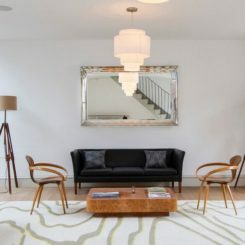 If you prefer something a bit simpler yet still unique, opt for initials instead of the full name. 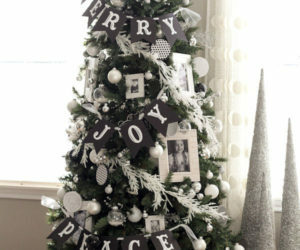 This way you’ll also have some room left for embellishments.Available for $91. 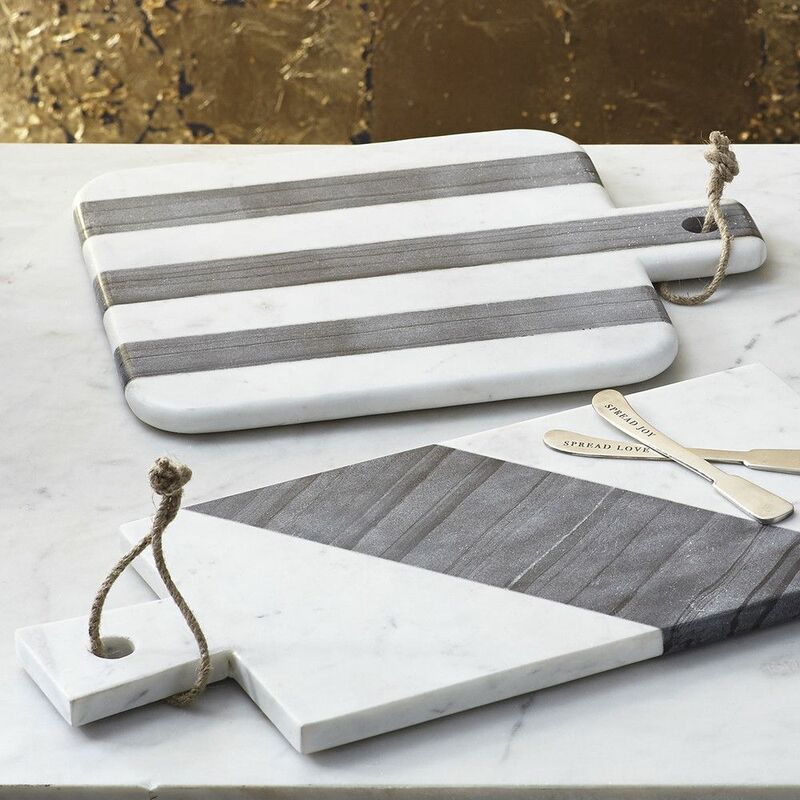 Marble cutting boards with lots of character. 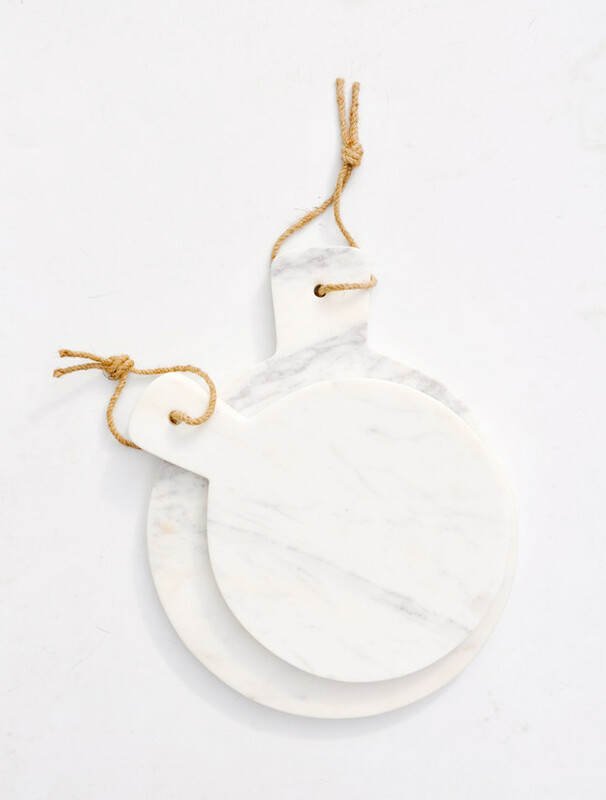 Anything made of marble is fancy so you can just assume that a marble cutting board will look great. This one is a large cheese board. It has a matte finish and rubber feet to prevent slipping.Available for $29. 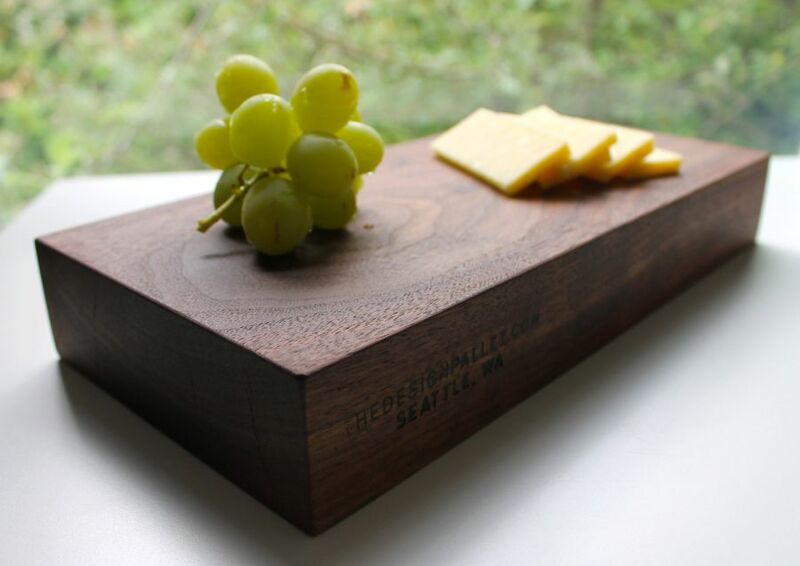 This is also a cheese board with a classic design. 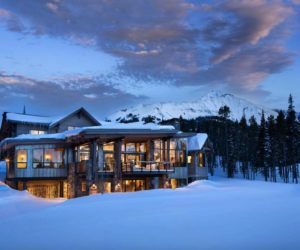 It’s made from a slab of Vermont marble and it will last a lifetime. 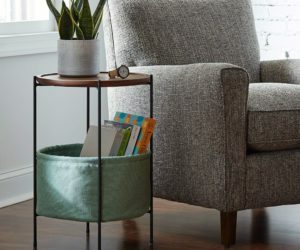 It has natural brass feet for a timeless look.Available for $45. 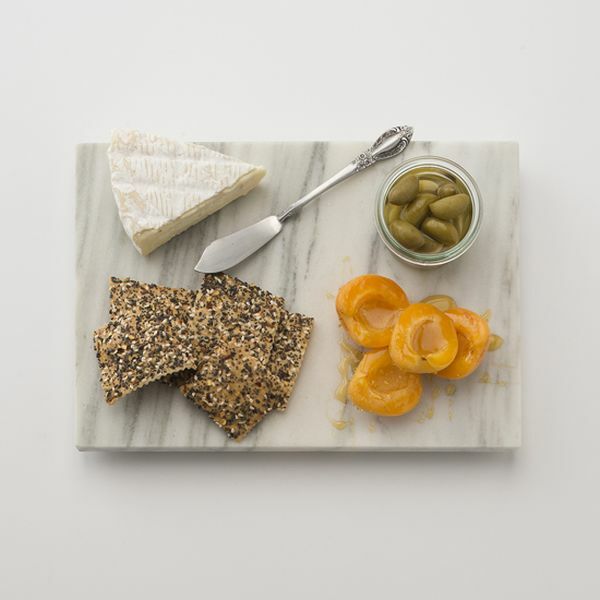 Cute and simple, this marble cutting board is really versatile and great for prepping and serving. 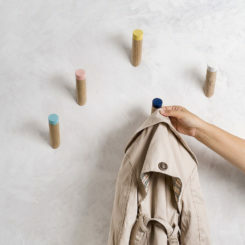 The choice of material means every piece is unique.Available for $38. 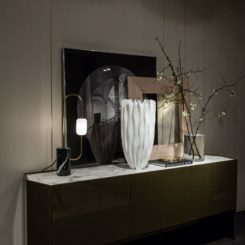 This design is a combination of sturdy marble and natural mango wood. 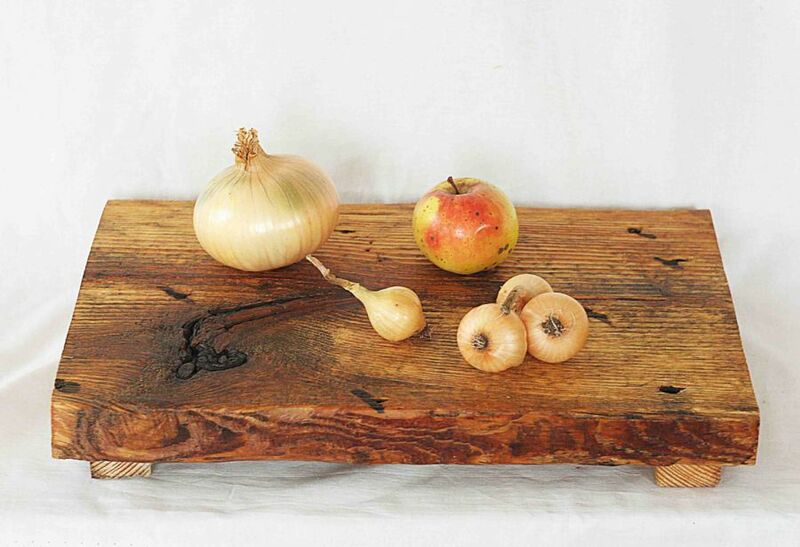 It’s a beautiful cheese tray with lots of character and a very simple look.Available for $58. 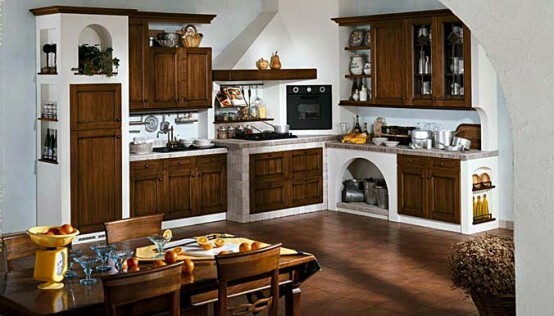 Featuring a combination of gray and white marble, this set is a great investment for any kitchen. 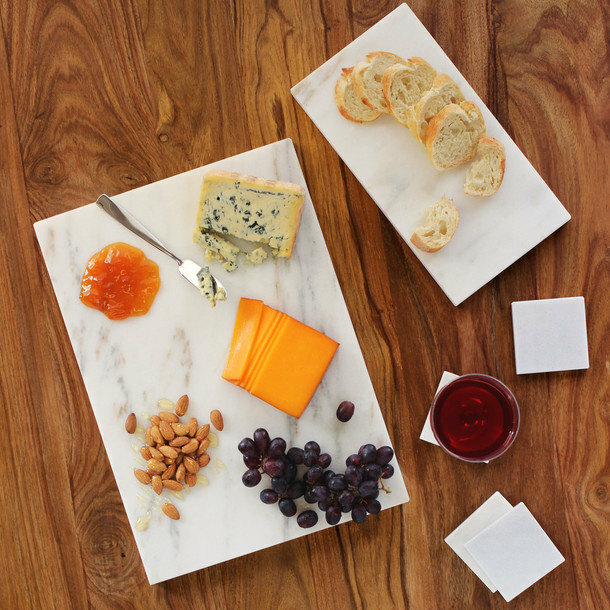 Not only that marble is very durable and strong, but it also stays cool and perfectly smooth.Available for $30. 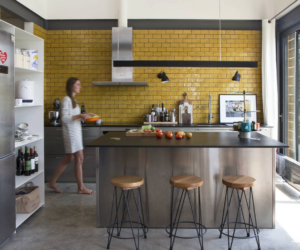 Modern designs – more than just simple cutting boards. This is both a cutting board and a knife sharpener. 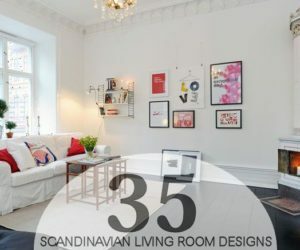 It has a simple and modern design in an attractive color which goes beyond the usual functionality. 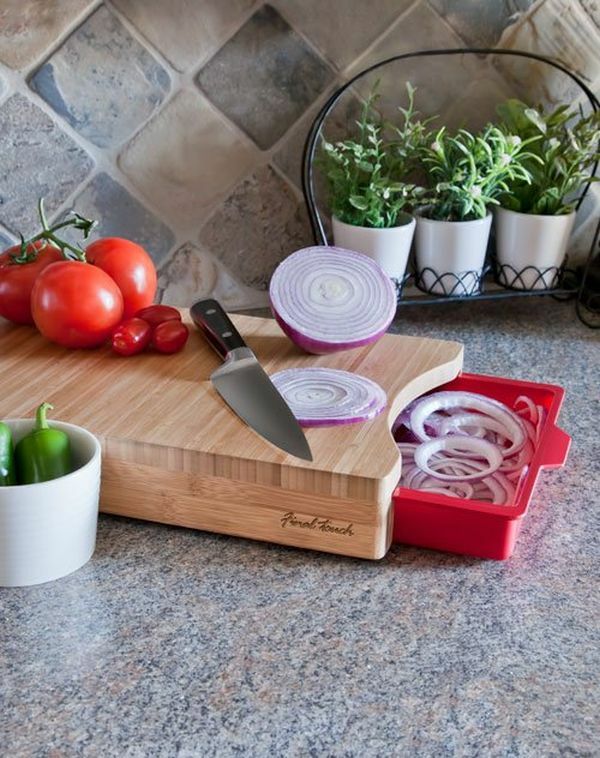 When the knife starts feeling dull, turn the cutting board on its non-slip edge and the problem is solved.Available for $39. 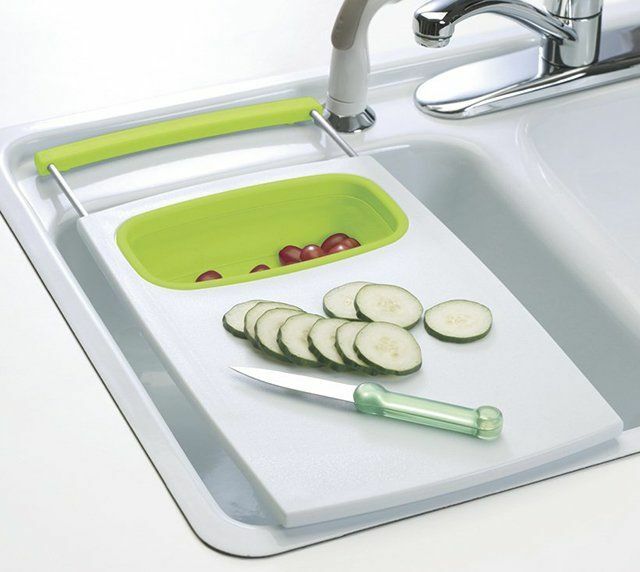 This is an over-the-sink cutting board which comes with a removable, collapsible colander. 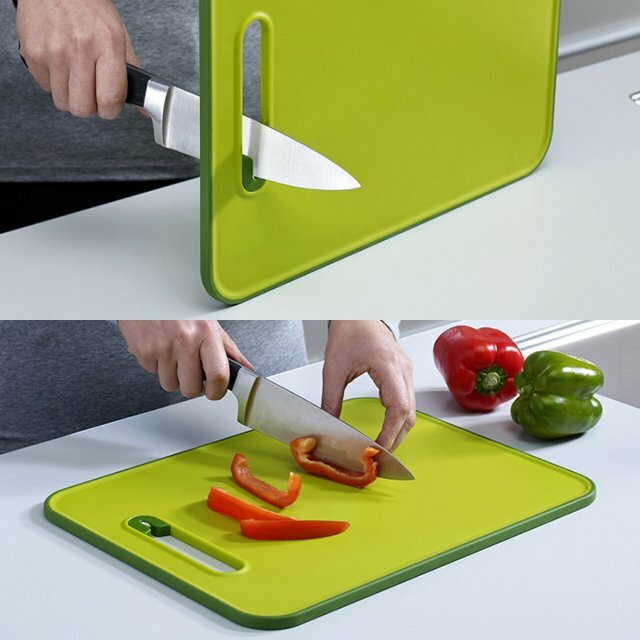 Expand the handle to make the cutting board fit over the sink. 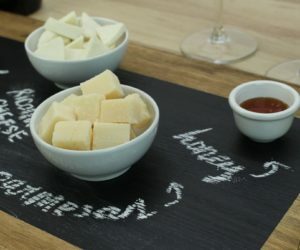 The board is made from polypropylene.Available for $27. 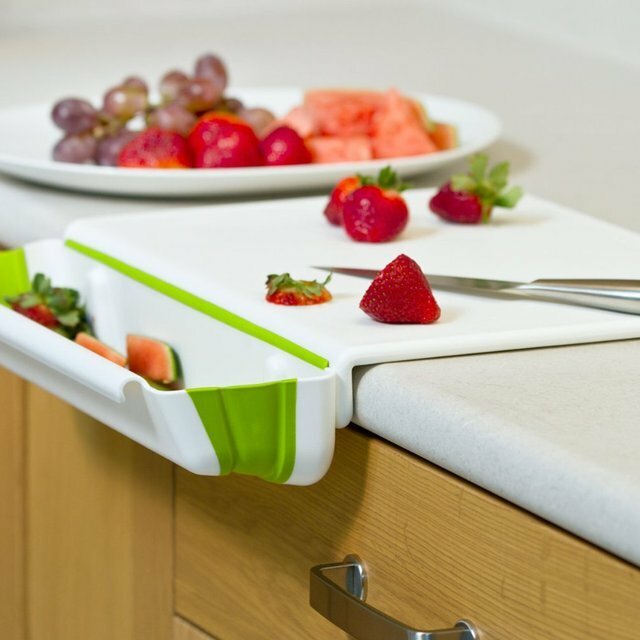 Designed to collect food and scraps, this cutting board cooperates with your countertop is a really great manner. 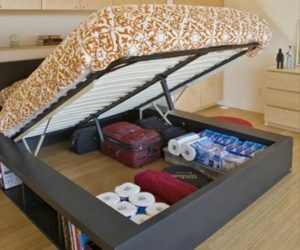 You can easily slide the bin into place whenever you need it. 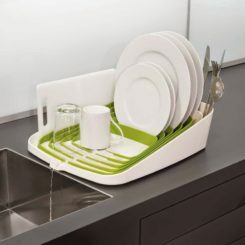 It was made to fit over the sink and counter.Available for $30. 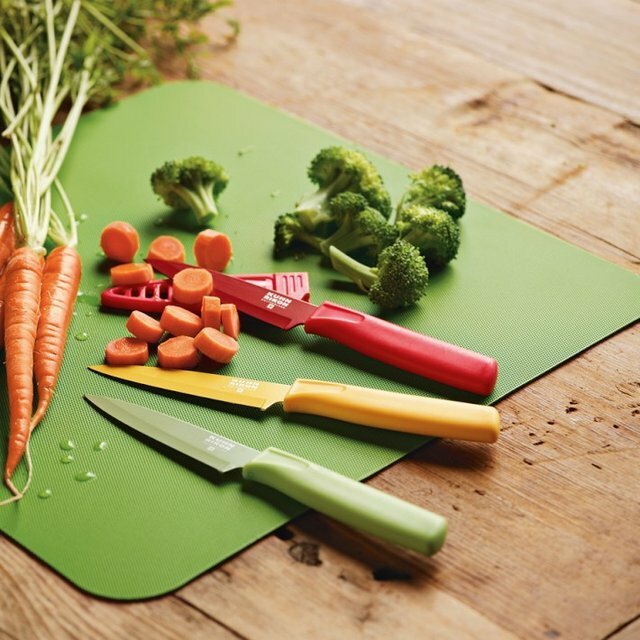 Being so thin and flexible, these non-skid cutting boards allow you to easily funnel chopped ingredients into the bowl or pan. They are non-porous and non-absorbent and come in sets of four, one of each color.Available for $20. 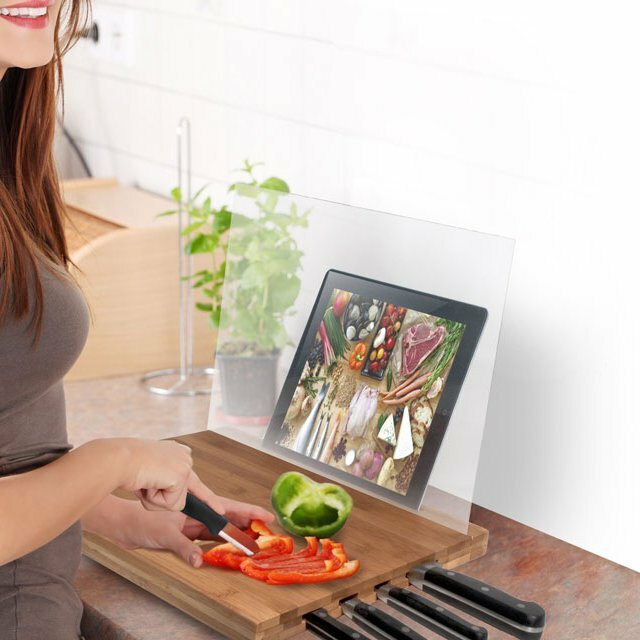 This is a cutting board for the modern cook who wants to look up recipes or watch their favorite episodes while prepping the meals. It’s compatible with iPad 2 or later as well as iPad mini and Air.Available for $75. 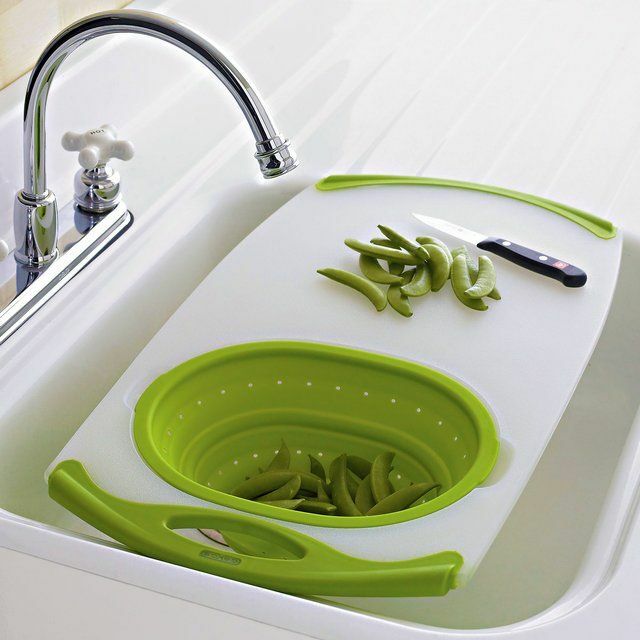 This all-in-one prep board comes with an integrated green silicone colander which is removable and heat-resistant. 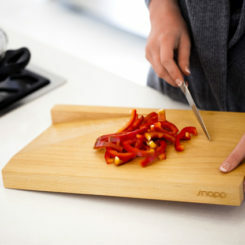 The board has non-slip handles and a simple and attractive design.Available for $28. 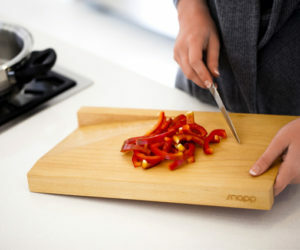 Solid, simple and made of wood, this cutting board has a built-in compartment as well as a hole above it for food scraps. 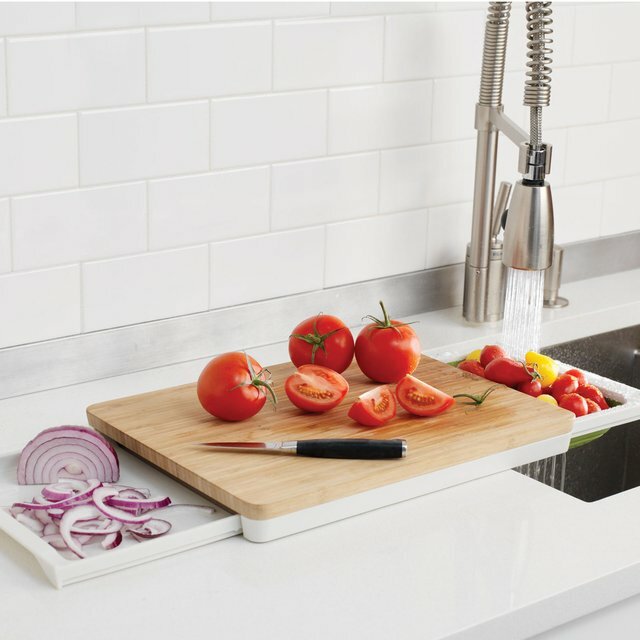 No more cutting back forth between the trash bin and the cutting board. 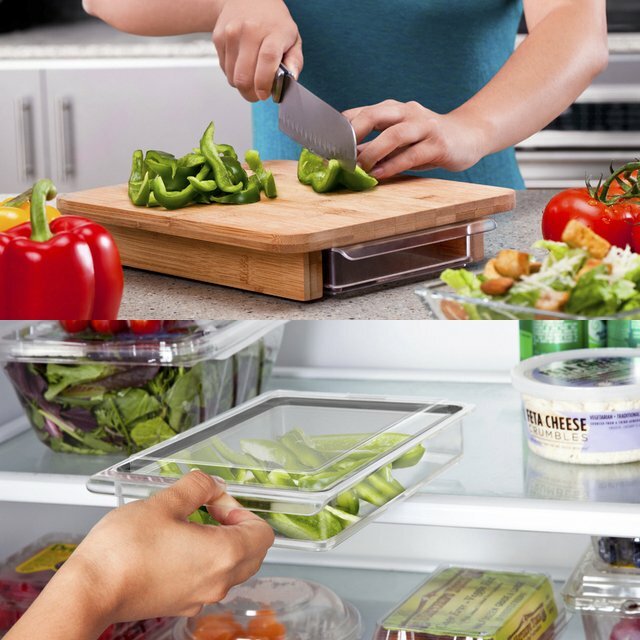 Simply remove the small drawer and empty it when you’re done chopping. 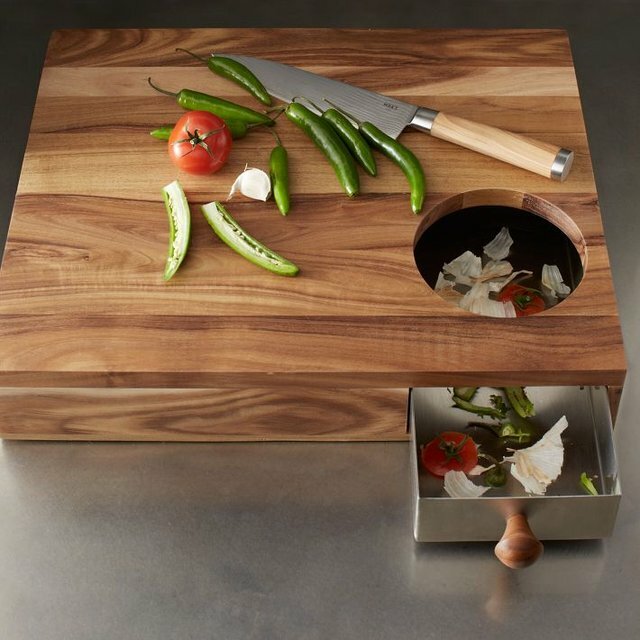 There are lots of great cutting board designs that feature storage compartments. 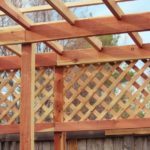 They can include two or more separate compartments or one large one. 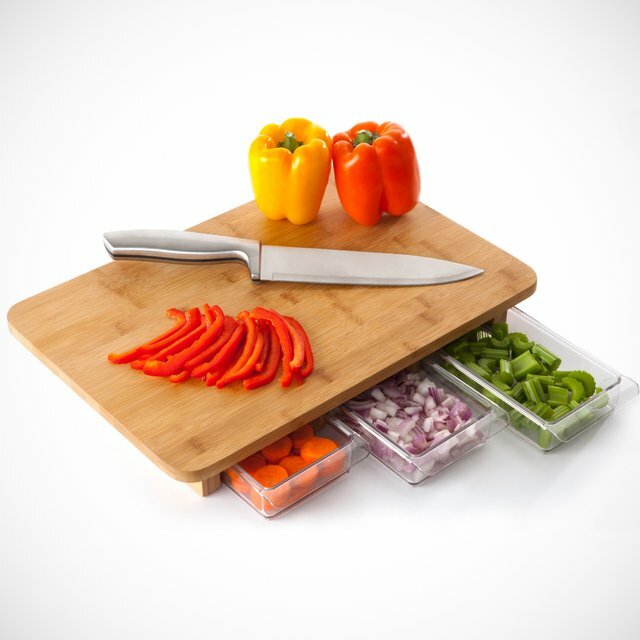 They make it very easy to organize food when chopping without having to lay out bowls in front of you for each ingredient.Available on: 1, 2, 3 and 4. 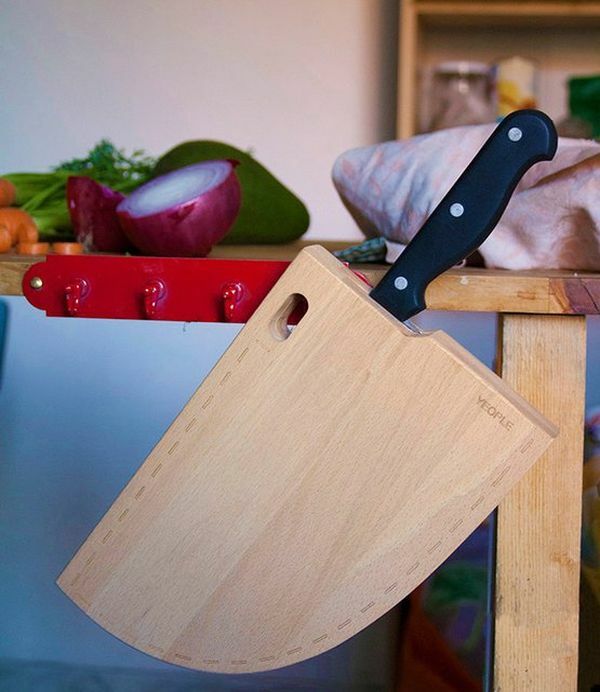 Scabbard is a cutting board that can also accommodate a knife inside of it. It kind of looks like a giant wooden knife when it’s sitting like this.Available on site. 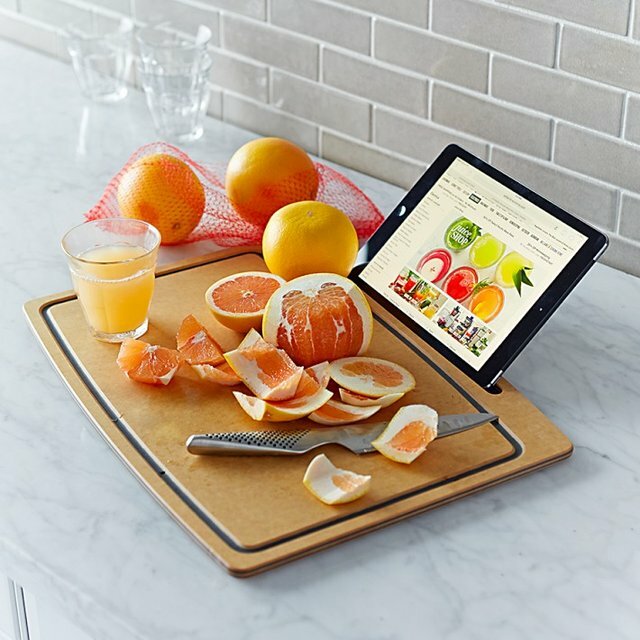 And feast your eyes on this modern cutting board. 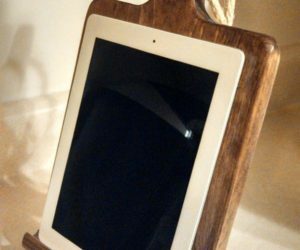 Compatible with iPad Air, iPad Mini and most tablets with similar dimensions, it also serves as a knife block.Available for $25.